Cavities are a common problem for many patients, but thankfully, there’s an easy solution. At Station Square Dental, we provide simple and straight forward tooth-coloured fillings to not only restore your teeth back to a healthy condition, but to also keep them looking their best. Our fillings are made to match the exact colour of your tooth, allowing them to seamlessly blend in with the rest of your smile. Along with only using the safest and most durable materials, we can also assure that our dental fillings are amalgam-free. Instead, you’ll find that we offer two types of effective tooth-coloured fillings: composite and porcelain. Composite fillings contain a plastic and glass mixture that works well for small to medium cavities, or on the front teeth. For large holes or molars that endure a lot of force, however, we prefer to use porcelain fillings, as these are much stronger. They also pose benefits over once-popular metal fillings, as porcelain fillings are wear-resistant and impervious to changes in temperature (not to mention, they’re the exact same colour of your tooth). Our porcelain fillings are made using our advanced CEREC machine, allowing them to be accurate, computer-designed, and superior at reinforcing the tooth. Do You Require a Dental Filling? If you’re experiencing any of these symptoms, please schedule an appointment at Station Square Dental today. 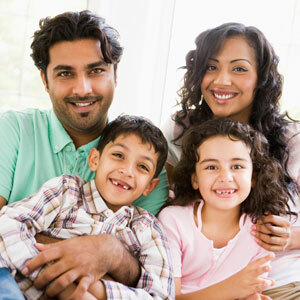 Remember, the earlier our dentist can intervene, the better, so don’t delay!